Come ski and/or travel with us! We are a Texas Ski Council member club. Whatever your level, there's always someone to ski with! Ski or board with us! 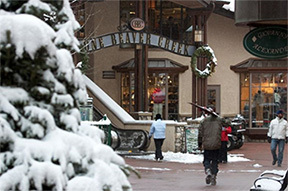 Hit the slopes, snowshoe, snowmobile, or shop! Go fishing, do the Dam 09 Triathlon, eat well! We meet every third Wednesday, August through April, at the Longhorn Cafe. 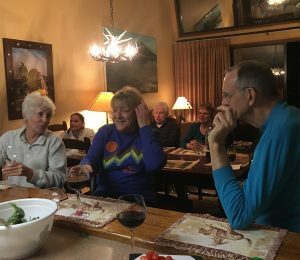 We enjoy a meal and a program on topics such as the latest developments in ski equipment, mountain photography, and many more. 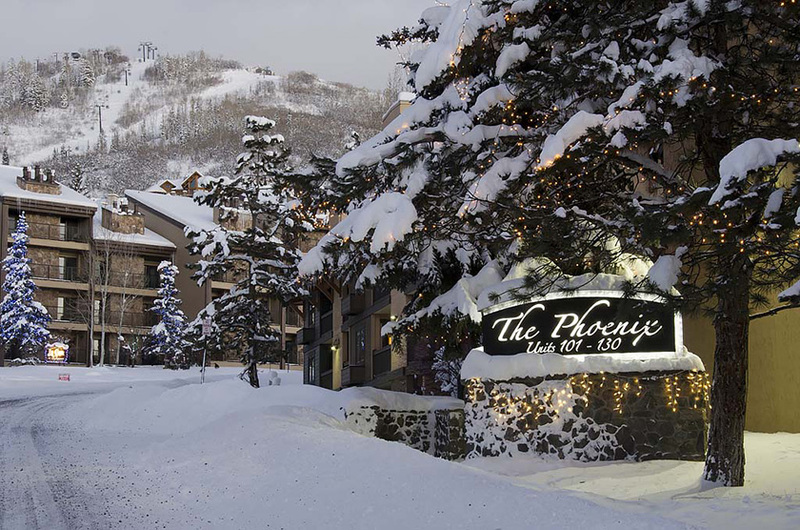 Whether you’re a skier, boarder, or sightseer, you’ll love traveling with us! We trek to destinations both domestic and abroad, and occasionally enjoy adventures to destinations just a few miles away. In addition to our meetings, we enjoy Happy Hour/Dineouts at favorite restaurants throughout the year. We welcome you to join us at any of these. Locations and dates are posted the month before the event. When you go with CSB, you won’t be alone unless you want to be. We ski at all ability levels, so you always can find a pal to ski with! Our non-skiers have no trouble finding someone to enjoy an adventure with. 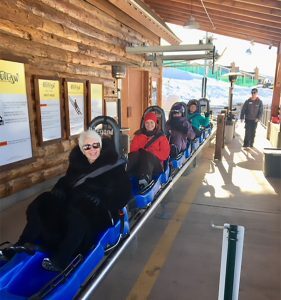 January 12, 2019 Written by Roni E.
Mayflower Tours has offered us a a lovely club trip! Contact trip leaders Melissa Wight [email protected] or Anne Tarr [email protected] for information and a link to a webinar prepared for us. 9 Days • 11 Meals Step into history and discover a place where the mythical Greek Gods ruled the world. Spend three nights in Athens and visit the Acropolis with its crowning glory, the Parthenon. 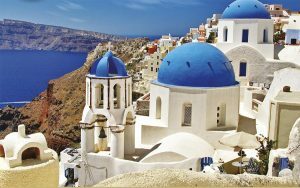 Travel by high- speed ferries across the Aegean Sea to the islands of Mykonos and Santorini where you can immerse yourself in the relaxed lifestyle during your stays. Friendly islanders are eager to welcome you to their picture-perfect paradise of whitewashed houses, seafront promenades and flower-filled lanes lined with quaint cafés and shops. 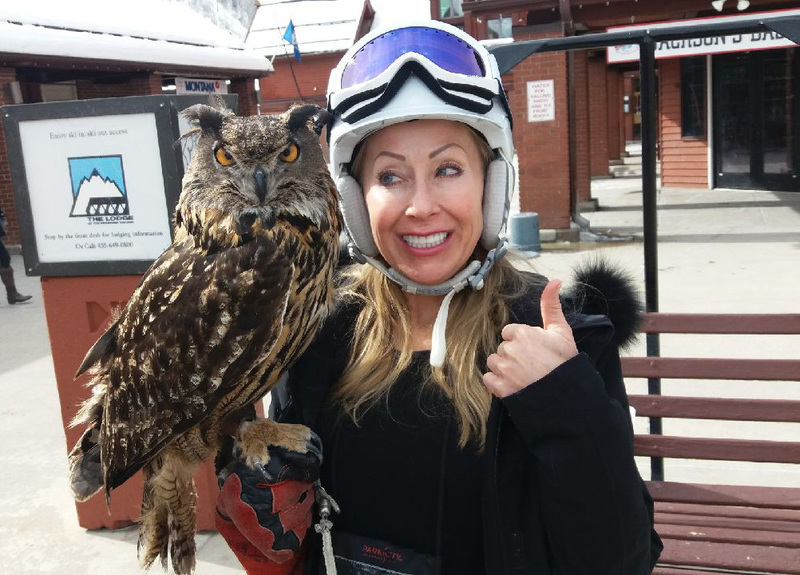 July 6, 2018 Written by Roni E.
One of the really cool things about skiing with us is that, no matter where you end up, even when you “head off in different directions”, there’s always someone to ski/party/shop/sightsee with! Check back here for Trip Tails… from our great trip leader, Lizzie Fisher! Trip Leader, Linda McMillion, says: Trip Tales will be coming soon, following this wonderful trip with great friends! Please check back for all the de-tails! Club St. Bernard did not go on TSC’s trip to Whitefish Montana in 2006. So, I went with another club, which shall be nameless. 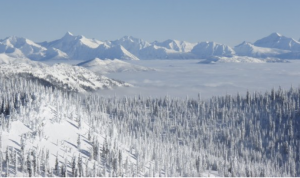 Back then Whitefish Ski Resort was called Big Mountain Ski Resort…for obvious reasons. It was a great place to ski and have fun. In about 2008 CSB ran a “club trip” to Big Mountain. It was still a great place. I was back there for the third time in 2016 and it wasn’t the same great place. In fact if you had been on those previous trips you might not have recognized it, because now it is “GOOD, GOLLY, GREAT, FANTASTIC”. They have changed the name from Big Mountain to Whitefish Ski Resort even though they have developed even more skiable terrain. There are 3000 acres of glades, bowls, steeps and wide groomed trails. There are greens, blues, and blacks for everyone. However, some would ask “But what if I wanted to do something besides just ski my brains out?” Well, in addition to the TSC welcome party, pub crawl, and awards banquet, there are optional opportunities for snowmobiling, dog sledding, snow shoeing, and cross country skiing. The Apgar Visitor Center at Glacier National Park is a 45 minute drive for educational presentations on the park and its wild life. But maybe if you aren’t feeling “outdoorsy” and you think you’ll miss the high culture of San Antonio, we might luck out for high culture in the mountains. 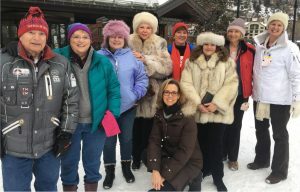 The 2019 cultural calendar is not yet published, but in February 2018 the Whitefish Theater Company staged a play at the community theater. Another weekend in February 2018, the Glacier Symphony Orchestra performed Schubert’s 9th Symphony in Whitefish. How’s that for a snowy little mountain town? Of course real Texas music culture is available at several music venues around town, including our own hotel, The Lodge at Whitefish Lake. Did you know that there are three craft breweries and more than 13 places to eat in Whitefish, with cuisines including sushi, burgers, bakery, and BBQ. Fine dining is offered at The Grouse Mountain Lodge as well at our Lodge at Whitefish Lake. 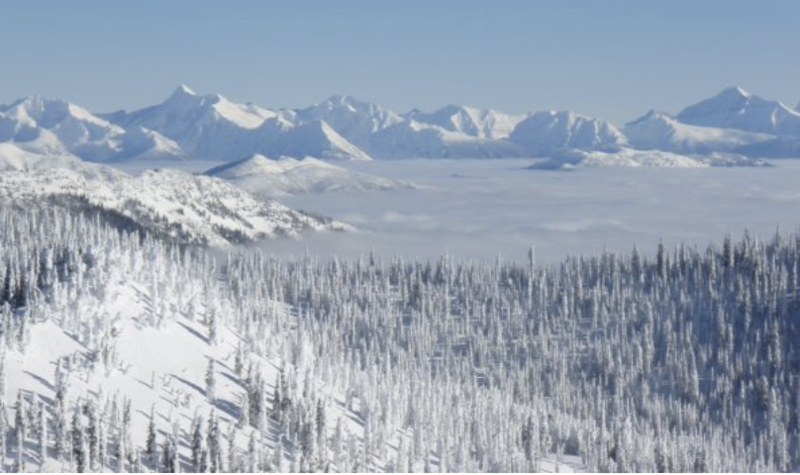 And several options in the Whitefish Mountain Ski Village and on the peak. The Kandahar Café has nothing to do with that city in Afghanistan, but it is nationally recognized for its gourmet dining and wine experience. How does après ski at the Hell Roaring Bar sound? There is enough shopping in Whitefish to keep your credit card toasty warm. Did you know that Montana is one of the few places on earth that produces natural sapphires? You can get some in Whitefish. Why travel to Myanmar or Sri Lanka? And, yes, the freight train museum is still there. Now that I’ve got you interested you will want to know that we will fly to Kalispell, MT on February 23, 2019 and return on March 2, 2019. We will stay in the hotel at the Lodge at Whitefish Lake (lodgeatwhitefishlake.com). It is on beautiful Whitefish Lake, with full amenities. A free shuttle takes you on the short ride up to the mountain village or down to the great eating, drinking, and shopping. Of course there will be special rates for TSC ski schoolers and lift tickets. But wait there is more: 70 and over…SKI FREE….zero, nada, zilch, zed. So old timers (and we have a few) start getting those knees in shape. Everyone, please join us for this Whitefish adventure! 2019 Trips! Check them out! April 30, 2018 Written by Roni E.
The following trips have been selected at the TSC Bid Fest by the Texas Ski Council, for 2019. We also have a “Club Trip” to Banff, and have just added a Greek trip for October, 2019! It’s time to start planning your dream trip with your ski and travel pals! April 9, 2018 Written by Roni E.
Club St. Bernarders met at the airport Saturday, Feb. 24 to head to Park City. A few minutes before boarding, we all wondered where our absent trip leader Lizzie was, as she hadn’t yet arrived. She had overslept and was on the way with an Uber driver! She made it through security just in time, only because the plane was delayed due to storms in Dallas. Whew! After boarding, we were again told of a further weather delay. And another. The next announcement said that passengers destined for Salt Lake City needed to deplane as we would not make our connection in Dallas and they would rebook us. So, we hastily exited the plane. But quickly, we were told to quickly reboard the plane because Southwest was going to hold our connecting plane till we arrived. Yaaayyy!!! We’re on the way! Kudos to SW! In Dallas, Melissa and Lizzie befriended a lone traveler who was signed up with another ski club. Obviously, she hadn’t heard of our awesome club before she signed up. Claire became a fixture with all of the CSB members on the trip and has been adopted into the club. Look for her at the next meeting and welcome her! And to think Lizzie calls this “poaching”. Melissa prefers to think of it as welcoming the weary traveler. Joanna did us a favor by taking the ingredients for the club dinner and the wine in her new van on her journey. 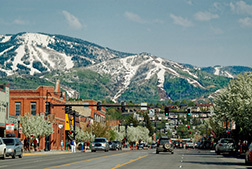 She then stayed in Utah to visit friends and do some extra skiing and sightseeing. Joe and Kathy had flown in earlier to visit their nephew who lives in Salt Lake City prior to our trip. Mark and Jo drove in, too, but they arrived on Sunday. They had just moved from Corpus Christi to Breckenridge on Friday. Yep! 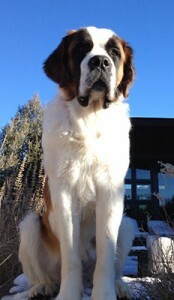 Just arrived in Breckenridge on Friday, unloaded, then headed to Park City on Sunday! Mark has been a long time member of the club, but it was the first time for Jo. It was so nice to get to meet Jo! Welcome! The next time you see Mark, ask him about his last triathlon. It’s an incredible story! We can boast that there were no injuries more serious than sore muscles and a bruise. And Kip won gold in the races again! Way to go, Kip! 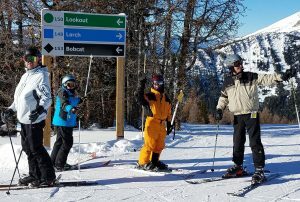 At the other end of the spectrum, Ray and Melissa tag-team taught our obstinate student (her words), Lizzie, in beginning skiing. She’s definitely on her way! Another really cool thing is that Danny brought his mom, Lidia , on the trip for a Christmas present. 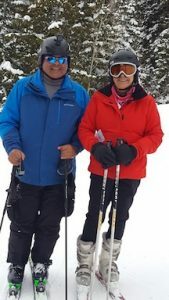 She hadn’t skied in somewhere between 12 and 20 years (they couldn’t agree on the time). 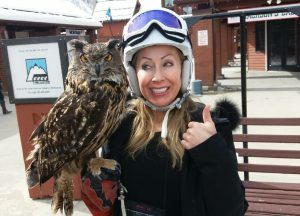 Yet, she joined us on Monday, then proceeded to have a blast skiing! She was such a joy to be around and such fun to know! Four folks from Austin Skiers joined us on this trip. James, Pat , Linda, and Steve . We were happy to have them join us! James and Lizzie made a visit to Olympic Park and really enjoyed it! Ray spent most days skiing with various of our club members, and one evening made his famous spaghetti for his condo mates. What about the rest of us???????? Betty Ann enjoyed shopping and spending her days doing things other than ski. On the days that Lidia and Jo didn’t ski, they had the opportunity to hang out with Betty Ann, who is always very welcoming to everyone. All in all, we had a fabulous time! Next year, join us for an amazing week of fun, skiing, and friends! Every day at Beaver Creek turned out to be a great day for skiing with plenty of snow. You could ski away from the condo and take the Elkhorn lift, to begin that day’s adventure. In the village you could really relax at one of the many firepits surrounded by outdoor furniture with upholstered cushions. Joyce, Betty Ann, and Starr enjoyed having a drink outside at the Park Hyatt and watching the skiers coming down the mountain. Everyone liked the cookies that were available at the bottom of the Centennial lift and in the Charter’s lobby around 3:30 every day. Our welcome party, Mardi Gras, and farewell parties were held at the Charter, where we stayed. At the Diamond Bistro we were treated to a drink and a jaw dropping view and the pleasure of listening to renowned guitar player Dave Thomas, (who played the Star Spangled Banner at a beach bar on the 4th of July in 2009 on a St. Bernard trip to Panama). On Monday the group rode a snowcat up the mountain to a scenic Beanos Cabin. We dined on a lavish 5- course meal. On arrival we exchanged our boots for a pair of warm slippers. When it was time to head back, Amy couldn’t find her boots. Management had a look around, and another diner was wearing them!!! When a condo fire alarm went off and everyone met outside in coats and pajamas, Joyce came wearing the right slippers from two different pairs because the maid lost the lefts! The awards banquet and dinner was on Valentine’s Day at Park Hyatt. The band was good, so we were moved to get up and dance. Our 2 racers, Anne and Kip were each awarded a medal! There were lots of opportunities for people watching. Amy and Anne saw Justin Timberlake and his son Silas. When our group was not skiing, we took trips to villages Edwards and Vail for lunch and shopping. The club party was at 8100 Mountainside Bar and Grill in the Park Hyatt that had a Colorado mountain atmosphere and excellent fare. Everyone ordered off the menu – tenderloin, fish, elk, and lobster bisque. All was excellent. Everyone could order whatever complimentary cocktail they desired. The travel day home we had to have our bags outside our door at 4:00 am and board the bus which took us to the airport. Most of us snoozed on the bus. Spending a week skiing at Beaver Creek was spectacular, but exhausting. 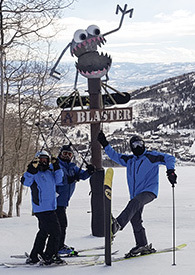 On the first trip of the year, 10 of us hit the slopes of Steamboat, Colorado. Christine, Claire, Kip, Betty Ann, Bart, Ray, John, Norma Jean, Cinnamon, and Alycen all met at the San Antonio airport and flew to Dallas and then into Hayden. A small hiccup in accommodations due to a water leak in one condo resulted in an upgrade to a beautiful 4 bed/3.5 bath townhome, but a shuttle ride from the slopes. The famous Cowboy Downhill races were kicked off by a Balloon Festival “Glow” when 6 brightly colored hot air balloons were inflated in Gondola Square. It was quite a sight to see the cowboys and cowgirls compete in a downhill ski, roping, and putting a saddle on a horse all while on skis or a snowboard! We enjoyed some really tasty meals, and Cinnamon, Christine, and Alycen had a “Christine Special” almost every night: Captain Morgan’s spice rum, apple cider, lemon, honey, sugar, and a cinnamon stick. A great night cap. Claire introduced us to what was formerly known as Hawaiian toast, now renamed Steamboat Toast. Wednesday, our club dinner night, was John Koone’s 30th anniversary with the club, so we had the exact same dinner that he had 30 years ago. The spaghetti with meat sauce, garlic bread, trash bag salad, and lots of wine was topped off with an amazing desert of banana’s foster. John made the desert and set it ablaze in the condo too! I’m surprised the sprinklers didn’t go off. We rounded out the evening with Mexican Train (furnished by Christine, schlepped from the airport by Bart). The next couple of days were in the mid to high 30’s and no new snow. 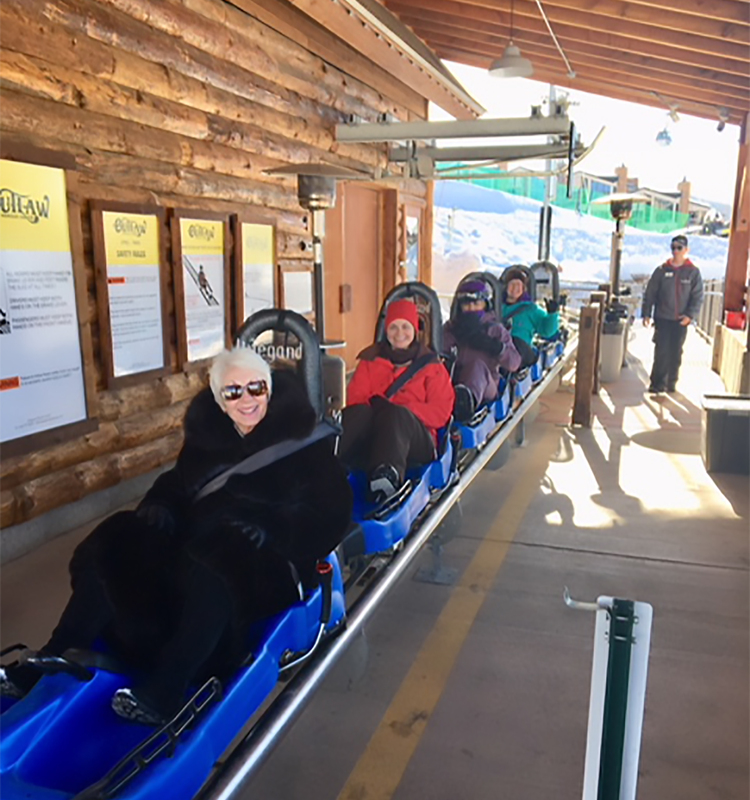 A few people skied, but Bart, Christine, Claire, Cinnamon, and Alycen all decided to be adventurous and rode the steel mountain coaster. It was cold, but great fun! In all, it was a great trip! This land and sea venture for St. Bernard began with everyone arranging their own air so they could arrive early and spend some time in Vancouver, Canada. Our ship, the Star Princess, left Vancouver on Saturday, September 9 at 4:30 p.m. and the view from the ship was breathtaking. The Canadian coastline is so beautiful. That afternoon and evening we spent finding our way around the ship. The first full day at sea was rough with large waves and high winds. There were times when we left our cabin that we walked from side to side as if we had been spending our day at the bar. On the second day we docked in Ketchikan Alaska. In spite of light rain, we made our way to the tourist attractions and shops. Joanna and her friend Dee, from Utah, took the “Duck Tour” of Ketchikan. This is a yellow vehicle that travels on the road or in the water! The third day was spent in Juneau, capitol of Alaska. You can only access Juneau is by boat or plane. It sits at the edge of a mountain range with steep streets and beautiful scenery. The shopping was great and Betty Ann found two beautiful rings. Joanna, Dee, Stephanie and Adrianne went on a whale-watching trip and visited the impressive Mendenhall Glacier. Our fourth day in Skagway was a hit for all. Great shopping and exceptional excursions took us in several directions. Stephanie and Adrienne took a train trip to the Yukon in Canada and ended their day at the wonderful Jewell Gardens Restaurant in Skagway. Joanna and Dee Dee went to a show titled the “Days of 1898” and really enjoyed it, then did some shopping. My sister, Donna, and I took separate excursions that day. She went on a hiking and rafting trip that ended in an unexpected way. They were climbing a mountain on the hike and her walking stick slipped causing her to fall forward on a sharp rock. This called for a trip to the clinic in Skagway and five stitches on her right index finger. It has healed nicely since then, but her finger had to remain in a splint for two weeks. Kip, Betty Ann and I took a trip to the Jewel Gardens and Glass Blowing Center in Skagway. It was extremely interesting and we learned a lot about the history of Skagway and the technique for blowing glass. Our guide was well versed on the plants in the garden and the demonstration by the glass blowing staff was very impressive. The fifth and sixth day were spent in scenic cruising on Glacier Bay and College Fjord. On the morning of the seventh day we woke up in Wittier, Alaska and boarded the train for Denali National Park at 7:30 a.m. The Alaskan Railroad has one track running from Wittier to Denali so the trip took eight hours. The rail car was very nice with upstairs seating that offered a wonderful view of all the Alaska sights. There was a bar in each car and a dining room on the lower lever. When the Conductor visited our car, he explained that we were averaging 38 miles per hour and since it was the last week for tourists, most of the trains were headed for Wittier or Anchorage. In any event, we pulled over on a side track frequently, but got a GOOD look at the Alaska scenery. 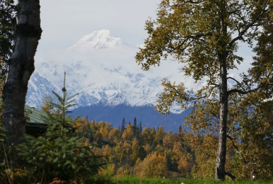 The next two days were spent at the Denali Wilderness Lodge and the Mt. McKinley Wilderness Lodge. Donna and Joanna took a nature walk while we were in Denali and the rest of the group acted like tourists. The food in their restaurants was outstanding and the St. Bernard group ate like champions: (knowing we would pay when we got home). Adrianne had the best recovery plan—she leaves for Croatia three weeks after our trip and will be doing a lot of hiking while she is there. The next leg of our journey took us to Anchorage where we stayed in the Captain Hook Hotel which was exceptional. When Kip got his luggage that had been sent ahead of us when we arrived in Alaska, he discovered that his largest bag had suffered a very difficult trip. Three of the wheels were missing and it was totaled. I learned he was reimbursed for the damage after he arrived home. We continued to see the sights and shop until day ten of our trip. We had to check out of the hotel by noon and four of us had a flight at 11:55 p.m. that evening. But we were resourceful and found interesting ventures in the city. We took a trolley ride all over Anchorage that was very interesting and then went to the Federal Building and watched movies about Alaska. Most of us knew little about the earthquake that hit Alaska in 1964. (I was in college and an airhead). The earthquake was a 9.3 on the Rector Scale and the worst one to every occur in the US. This trip was really wonderful and all of our group enjoyed it a great deal! April Meeting! Wednesday, April 17: 2020 Trips! Announced! Our April meeting will be at the Longhorn Cafe’ (our usual meeting spot) at 7:00 PM. Come early to order food and visit! Our TSC BidFest delegates will announce the trips that have been chosen for BOTH 2020 AND 2021 trips. This is our final general meeting fo our club year. The next general membership meeting will be in August!!! April 4! Happy Hour/Dine Out at 5:00! Another favorite spot for great conversation and food, Galpao Gaucho Brazilian Steakhous, well-known for their fabulous Happy Hour offerings. We start at 5:00, as always. Contact Alice at [email protected] so she can let the restaurant know about how may of us to expect. 11255 Huebner Rd. Greek Trip has been added, October 2019! We’re going to Greece! October, 2019! 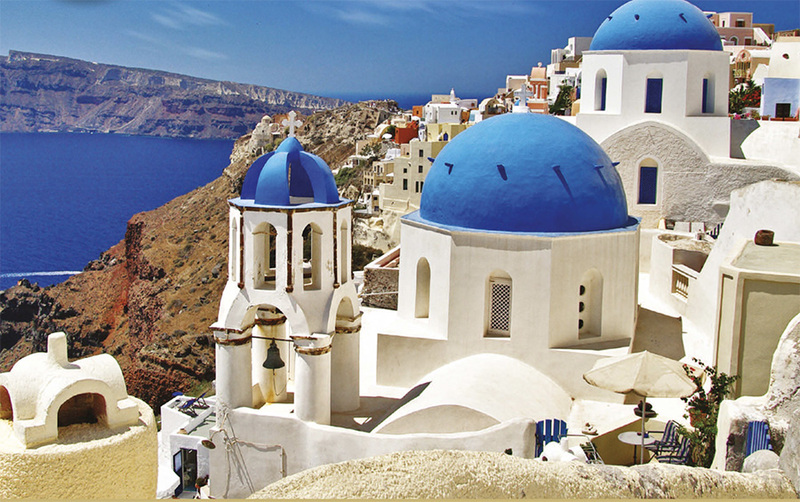 Matt Greenwaldt and Mayflower Cruises and Tours are running a Greek trip for our club! Please see the Greek post for information.